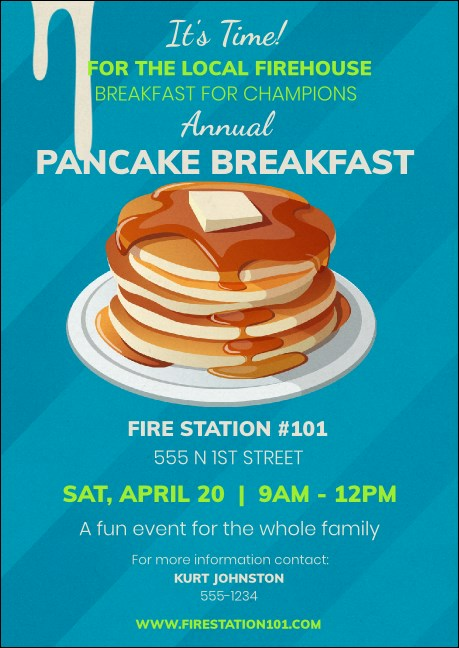 Send a sweet and delicious message when you send the Pancake Breakfast Postcard before your next community fundraiser. A calming blue background sets the stage for a yummy stack of griddle cakes in the middle. Deliver all your event information on thirteen generous lines on this template. Don't forget the syrup, berries, and butter! Need posters, fliers, or tickets? Order a Matching Event Kit from TicketPrinting.com.